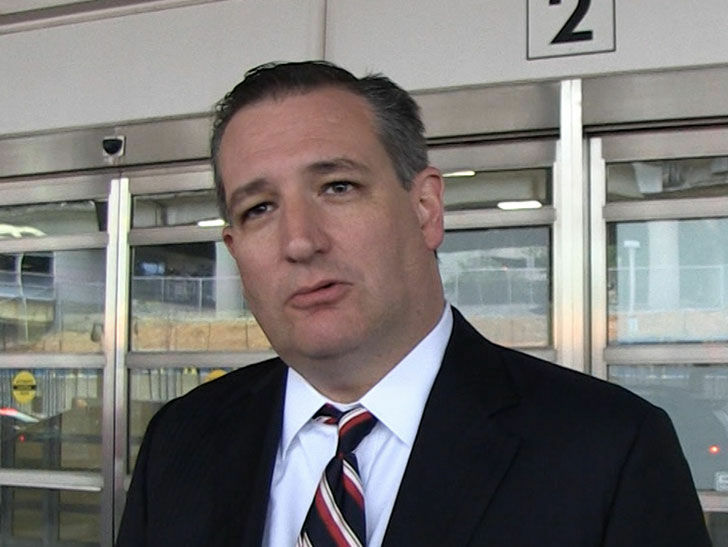 Ted Cruz believes the NFL has mishandled the national anthem controversy in a big way -- and tells TMZ Sports it's football fans who are ultimately losing out. "I will say, I think the NFL did itself a lot of harm last year," the Republican senator from Texas told us at Reagan Airport in D.C.
"An awful lot of their fans, folks who go to games and like to cheer on football, found themselves thrust in the middle of politics." He added ... "People ought to be able to enjoy football without it being turned into a political statement that many understandably see as a slight to our flag and to the many people who stood up and fought to defend our country." Cruz has previously supported Colin Kaepernick's right to protest -- but does not support taking a knee during the anthem. In fact, back in 2016 he called for fans to boycott "rich spoiled athletes" who protest by not buying their jerseys, shoes or shirts.